In many cases our clients have multiple businesses that they own, manage, or have some oversight of their websites. To support this case, we have Linked Accounts that allow a user to belong to multiple accounts. You can alternatively choose the Create Linked Account link under the Accounts menu tab when you're logged in. To create the new account, use the form to input your new account's company name and it will setup a new linked account for that company that you'll have immediate access to. 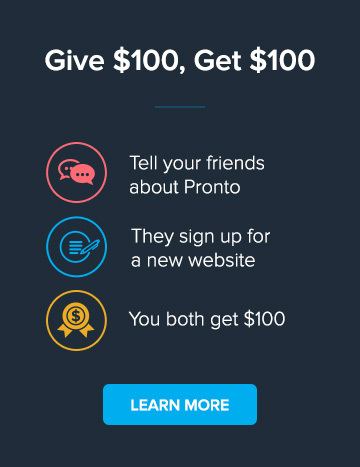 You can also invite other users to join your account, whether they are new users to Pronto or existing users from another account. To invite new users, go to the Account Overview page and in the users section you'll see a button to Add a new user. Pronto accounts are linked to each other on a per user basis (ie. by unique email address). Your user account can easily be linked to another company account by simply adding you to this second account. This can be done by any admin or owner user already on the account, or by submitting a request to our support team.